What should the Career Summary on your CV include? Home » Insights and News » What should a Management Consultant include in a Career Summary? One of the most misused and misunderstood features of a CV is the Career Summary. For many job applications, your CV is the primary tool that hiring managers will use to decide whether you make it through to the interview stage or not. 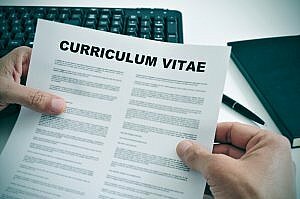 Therefore it is paramount that your CV provides a clear insight into your previous education, employment and achievements from each role. The clue is in the words. So it’s not half a page or more, it’s not a list of all your achievements, it’s not a list of your employers and jobs. It’s not actually essential although as most CVs have one yours might look a bit bare without. Here’s a link to an interesting article about how to write a Career Summary which I pretty much agree with. It’s something that a hiring manager or recruiter can skim read such that if they think you could be relevant for a role they might read further. In the article they suggest tailoring it for the job you are applying for: possibly but it definitely shouldn’t LOOK tailored! Also don’t assume people WILL read it: sometimes people will read the body of the CV and employment history first and make a decision either way on that. So don’t put any key information on the summary that isn’t obvious from the CV. Give a brief introduction that is meant to convey your personal skill set. It is an opportunity to highlight the combination of skills and experiences you can bring to a company which will make you an asset. Highlight skills which differentiate you from the other candidates who will be applying. Allow you to align yourself with a company’s goals and values with reference to job description and company mission statement. Provide a great opportunity to include additional resume keywords. Keywords such as ‘strategic planning’ or ‘communications’ are especially important as more companies are using applicant tracking systems (ATS) to view and sort resumes. Keep your career summary to a few good sentences. Don’t try to include too much. Be concise and to the point.